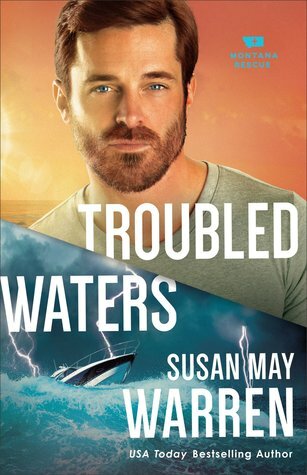 Troubled Waters (2018) by Susan May Warren is the 4th book in her Montana Rescue series. Troubled Waters just released this past January 2nd, and can be purchased wherever books are sold. This novel is available in all forms including eBook, and is 347 pages in length. With a full-time job and a very rambunctious five-year old at home, this book took me three days to read. I received a review copy of this novel in paperback form from Revell Books. In no way has this influenced my review. The opinions expressed in this review are my own. I give this book 5 STARS. Troubled Waters is a Contemporary Christian Romance. Billionaire Ian Shaw can have everything he wants–except a happy ending. Or at least that’s what it feels like with his fortune recently liquidated, his niece, Esme, still missing, and the woman he loves refusing to speak to him. In fact, he doubts she would date him even if they were stranded on a deserted island. It will take guts and gumption for the PEAK team to rescue the duo. But it will take a miracle to rescue Ian and Sierra’s relationship. So, I have a confession to make. I love Susan May Warren novels, but I have only read her Christiansen Family series. I devoured those books in nanoseconds, and highly recommend the series if you have not yet read it. But, I have not had the opportunity to read any of Warren’s Montana Rescue series until now. After having read Troubled Waters, I will definitely make sure to read all of the other books in this series because Troubled Waters is amazing! 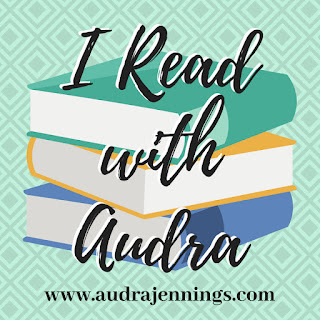 It’s an extreme page turner that I struggled to put down, and when I had to, I did whatever I had to do quickly so I could get back to the book ASAP. Troubled Waters follows Ian and Sierra as they come to terms with their individual issues, and finally express their true feelings for each other. It’s also a terrifying survival story as Ian and Sierra are stranded on a deserted island after the Montana Rose (Ian’s impressive yacht) is capsized by rogue waves. My feelings were all over the place with this book. I was simultaneously terrified by the extreme waves, horrified by the injuries some characters have inflicted upon them, cheered for the characters as they finally speak and express their feelings, and loved the coming-to-Jesus moments. This book has it all! There is no possible way to be bored by this story. Life is often like a tidal wave that hits us square in the chest. No one plans for bad things to happen, but happen they do. I absolutely loved the faith-filled message of Troubled Waters. Ian has had some serious trauma in his life. His wife and son were killed during Hurricane Katrina, and his niece, Esme, has disappeared and nothing Ian has done has elicited any kind of answer to where she may be. He has pushed Sierra, the one woman truly in his corner, away from his life. And, he has absolutely turned from God. Throughout most of this novel, Ian’s exhaustion is palpable. He carries everything on his shoulders in an attempt to save and protect everyone. My favorite moment in the book comes when Ian admits he can’t escape the terrifying moments of his past. No matter what he does, they torture him. Sierra gently lays into him that he is trying to play God when he should be leaning into God. It’s a fantastic scene, and a great reminder. Often, in today’s day and age, I have to stop myself and say out loud, “God is the boss, and I am not!” This world hurts people so badly, and it gets to be a little too much for this empathetic girl. I take on everyone’s problems, and my problems, and I try so desperately to fix everything. I end up depleted, depressed, and with a sense of total loneliness. But, it is all my fault. In my business to fix everything, I leave out God. Sometimes, I’m ashamed to admit, I don’t even think about Him. Instead, on a loop in my brain, I keep thinking of multitudinous ways to fix everything for everyone. I am like Ian. I need to fall back on my faith. I need to fall back into God’s arms and let HIM do what He is going to do because I am never going to be strong enough, capable enough, or smart enough to take care of everyone and their problems. I am not God. God is God, and He is in control. I adore this book so much for reminding me of this fact! Troubled Waters is SO good. It’s a heart-pounding, steal-your-breath-away read! If you are looking for a nail-biting, page-turning, engaging story, then Troubled Waters is the book for you! I am so blessed to have read this book, and cannot wait to read the previous books in this series. Susan May Warren is a truly gifted author, and I pray God blesses her with many, many more stories in the future. I am giving away ONE (1) paperback copy of Troubled Waters published by Revell Books. The giveaway begins today, 1-14-18 at 12:45 pm (PST) and ends on Wednesday, 1-17-18 at 12:00 pm (PST). To enter, click on the Rafflecopter link below. Good luck! Congratulations Jeanne C. You have won this giveaway!!! Thank you for your participation. ***Please Note: Open to Continental U.S. mailing addresses only. *** Winner will be notified via email at the end of the giveaway, and will be announced here on this page. Girl, you HAVE to read the previous books in this series ASAP! They are all great. And, you will appreciate the dynamics between both Ian/Sierra and Pete/Jess more fully with their twisting history uncovered. I’m reading Troubled Waters right now — I have about 75 pages left! Something drastic just happened involving a repaired raft and I’m on pins and needles to see what will happen next! Oh, and another random thought: I need the brothers Sam and Pete hanging out with the Christiansen family, namely Casper and Owen, in a spinoff story of some sort. Their banter would be epic! You are so funny!! I’m actually buying the series as we speak so I can make up my reading!!! I love Susie May! She is a hoot! I won #2 in this series but haven’t read it yet. I recall reading the Noble Legacy series. Would love to win this one. I love the Christiansen family books too! Thanks for the chance to win this book, I’ve been wanting to read it! I love this series and have all in this series except this book! And I love everything Susan May Warren! You can read them all as stand alone but they do much better reading them in order! I’m gonna read the series again so I can read them altogether at one time. Thanks for the giveaway! Would love to win! Of course so would everyone else!! I’m the oldest of eight kids and also tend to take on waaay too much. I have faced this struggle so many times. It’s one of the reasons, I write and it’s my way of casting my burdens on the Good Lord. Thank you for this beautiful reminder of where the ONLY hope lies.